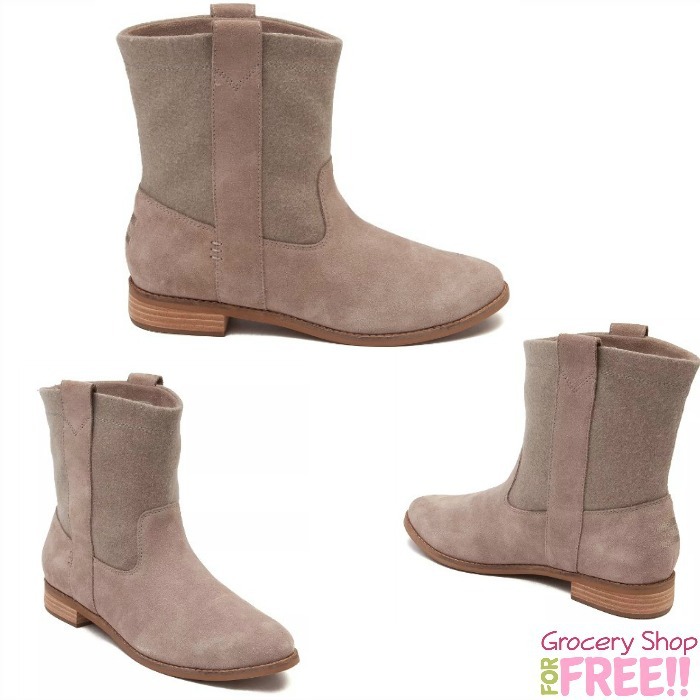 Toms Womens Ankle Boots Just $29.99! Down From $100! You are here: Home / Great Deals / Toms Womens Ankle Boots Just $29.99! Down From $100! WOW! Here’s a great deal! You can get these Womens Toms Laurel Ankle Boots for just $29.99! They are normally $99.99! I have a LOVE of boots! I have like 3 pair of shoes that aren’t boots! I own probably 10 pairs of boots. Slip into the signature comfort, and seasonal style of the new Laurel Ankle Boot from TOMS. The sophisticated new Laurel Ankle Boot rocks a shorter silhouette, constructed with smooth suede uppers, and soft wool shaft with dual pull-loops for easy slip-on style. Shipping is $4.95 or FREE when you you spend $39.99 or more.